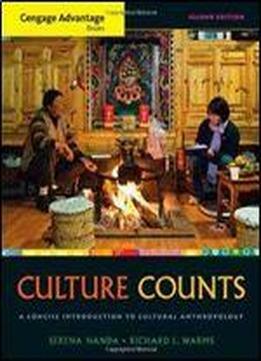 Framed around the concept of culture, Nanda and Warms' brief book shows you how culture matters in driving and explaining human behavior, as well as the dynamic nature of culture that interrelates various cultural systems in adaptive (or maladaptive) ways. The text emphasizes why understanding culture is important for understanding what is going on in the world today, and how we can solve problems and effect positive change. The authors will draw you into the book's concepts via engaging ethnographic storytelling and a conversational writing style that connects you to the topics. You'll focus on contemporary issues, issues of globalization, issues of gender, and issues of equalities and inequalities topics that are important to both the study of anthropology and your understanding of the world around you.